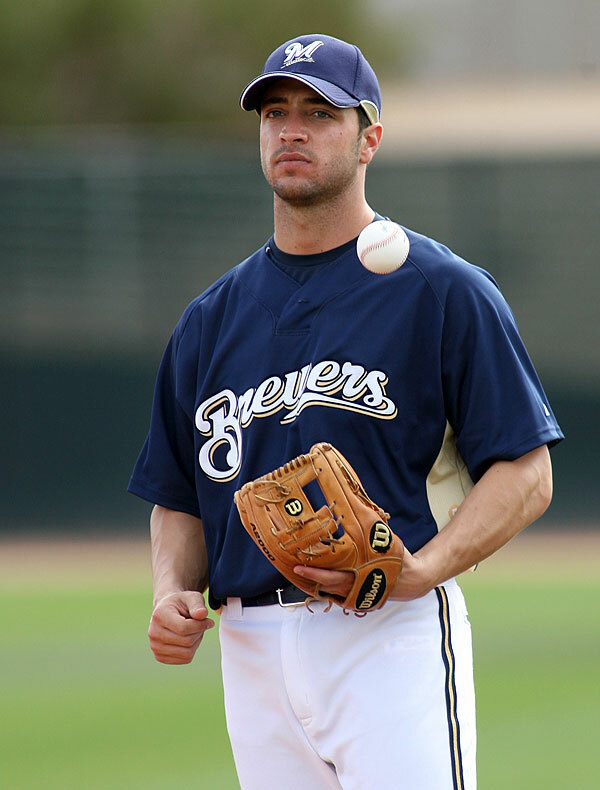 When the decision came down yesterday that Ryan Braun would be exonerated of the charges against him for allegedly testing positive for a banned substance, I honestly was the happiest I had been since the initial announcement regarding the test had come out in December. That elation, however soon soured as I began to see that despite being found not guilty, the fight was far from over. So, what have we learned from all of this? In a perfect world, we would not even be addressing this issue, and Ryan Braun would have reported to camp today with the public none the wiser to what had gone on in the offseason. That’s how it’s supposed to work. Instead, we were treated to a 2+ month long circus as everyone and their mother tried to weigh in on whether Braun was guilty or not of violating the league’s banned substance policy despite not having any of the facts regarding what had transpired. Here’s the long and the short of it, baseball in many ways is an allegory for life in America. In this case there was a labor dispute between a worker and his employer over a test result, the employee invoked his legal right to appeal the finding, he had his day in court and was exonerated of the charge due to a testing inconsistency. If this had been Joe Six-Pack who worked for XYZ Company, this wouldn’t be considered news. The HR department would have handled the proceedings, end of story. Unfortunately, there was another court at work here, The Court of Public Opinion, which brings me to my next point. Despite, a 3 person panel ruling 2-1 in favor of overturning the initial decision (and the 50 game suspension that it carried), some people just can’t accept the outcome. Some people just want to belong to a cause, no matter how ridiculous or unfounded the cause may be. This is what happened here as a (metaphorical) pitchfork and torch wielding mob took to the internet to let everyone know that no matter what the decision was, it was wrong because…well…because that’s what they had heard from someone. Well, who told you that? Uhmm…you know the guy, the one with the…face…yeah, and he has that show on that one channel (or maybe it was the radio)…well, he said he was guilty, so it must be true…right? 1) Braun has insisted from the beginning that he was innocent and that he was going to leave it up to the arbitrators to determine this based on the information that he planned to present. 2) Based on said information, Braun is exonerated of the charges. 3) Life goes on no matter if you agree with the decision or not. Kicking and screaming because you didn’t get your way will not change this no matter how long or how loud you do it. It’s like the Beatles said, “Let It Be”. It’s amazing the leaps in logic that some people are willing to make in order to justify an opinion that is not factually sound. With this said, I would like to debunk several theories that people have used to justify why Braun was the only player in MLB history to successfully appeal a positive test result. And yes, I found all of these gems in the comments section of various articles today. ***Warning*** the lack of logic that follows may cause readers to believe that we have entered the times portrayed in Mike Judge’s film Idiocracy. Consider yourself warned! 1) Braun must be related to Selig. – Nope. There is no factual evidence to back up this claim what-so-ever. 2) Braun got his appeal overturned because Selig’s daughter owns the Brewers. – While it is true that Bud Selig sold the team to his daughter, Wendy Selig-Prieb, in 1998, it is also true that she sold the team to current owner Mark Attanasio in 2004. At this time, the Selig family has no vested financial interest in the team. 3) Braun got off the hook because he’s white. – Ah, the ever present race card. Too bad the PED issue has no bias when it comes to race. See Roger Clemens and Mark McGuire if you need further proof. The final thing we should take away from this case is that despite all of the name calling and accusations that have been strewn around since this started, Braun has been a class act the entire way through. He could have easily come off the rails and started his own counter assault against his accusers, yet he took the high road and didn’t stoop to that level, maintaining that the truth would prove what he said all along. And that is the most important lesson that we can learn from all of this. No matter how bad things may get, no matter how dark the road ahead may look, never loose sight of who you are and what you stand for. Braun has refused to let himself be dragged down by this mess, and stuck to his convictions and morals the entire way, and guess what, in the end he prevailed. It’s a lesson that we all can learn from. This entry was posted in News and tagged Bud Selig, Exonerated, mark attanasio, Mark McGwire, MLB, Roger Clemens, Ryan Braun, Wendy Selig-Prieb. Bookmark the permalink.